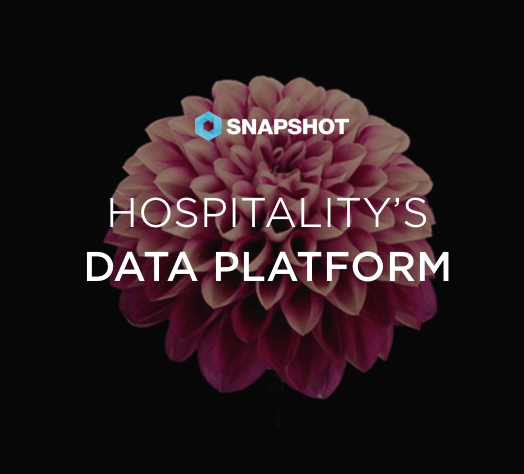 When we set-out to build SnapShot Analytics our mission was help decision makers in hotels by bringing together the most essential demand-related data in an easy-to-use dashboard. Doing that for multiple properties initially posed challenges– today most systems are either built only from a multiple property viewpoint but lack the hotel-level granularity, or they're built for the individual hotel level but lack the ability to show mulptiple properties. We're happy to announce that we've built a solution that has the best of both worlds. multi-property functionality in SnapShot Analytics. 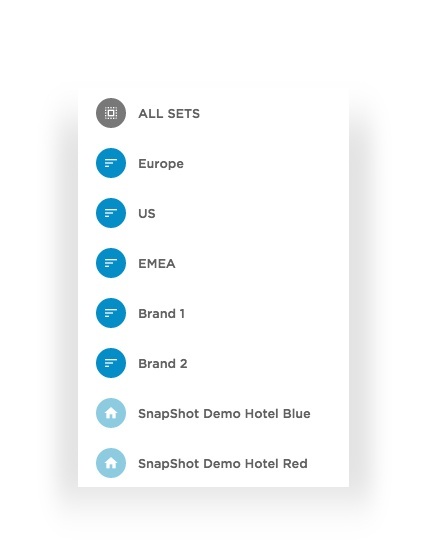 Multi-property opens up the power and flexibility of SnapShot Analytics to hotel chains and groups of any size. 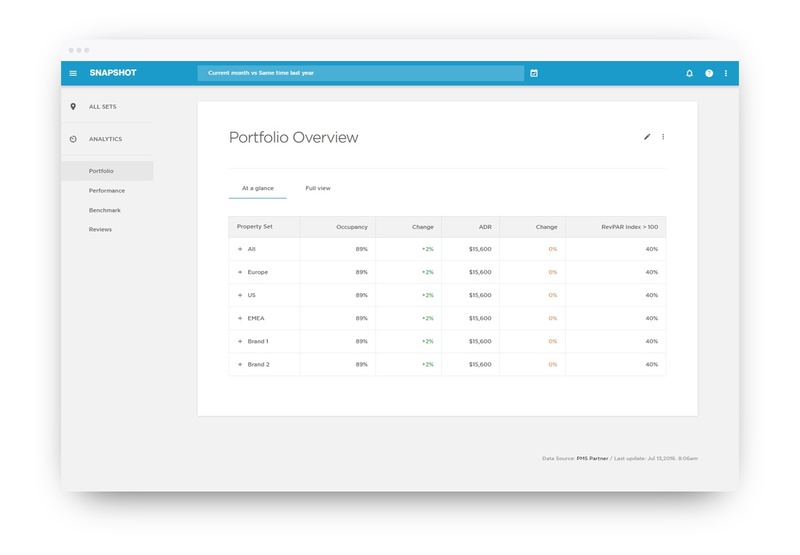 Our focus on easy-to-use, well-designed products is at the forefront: Multi-property Analytics is simple to use and set up, and can be customized for exactly what you and your team needs. 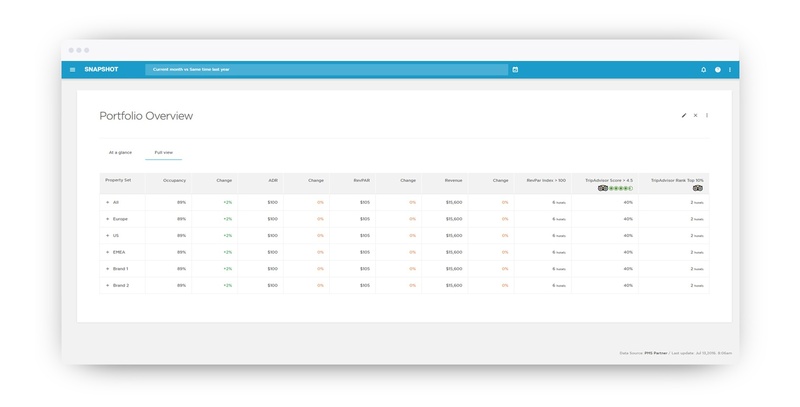 It's everything you love about Analytics, now available on a multi-property level! To learn more about SnapShot Analytics and what it can do for hotel chains and groups book a demo. How does Multi-property work within Analytics? and small group of hotels can easily consolidate all their hotel data into one pla ce. Immediately access reports anytime, anywhere. When using the multi-property functionality in Analytics, you can monitor overall performance, see which properties are the biggest contributors to the group's overall success, and which are at risk. It's very simple to use. Create a "Property Set" by adding selected properties to the set with the "Property Set Builder." You can then view it by clicking the icon in the top-right of Analytics. Selecting "all sets" directs you to the Property Sets views while selecting a specific Property Set will direct you to a single Property Set view. It's that simple! What added functionality does it offer? Create your own groups based on your needs: by brand, location, area, region, and more. 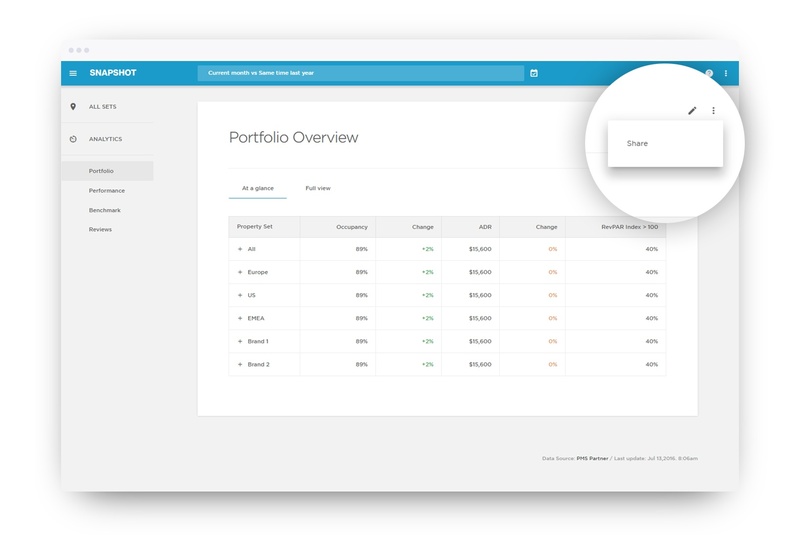 Share any card or page with anyone, including people who don’t have access to SnapShot Analytics. Assign one property to different sets, simultaneously. Zoom in for details or zoom out for the larger picture. 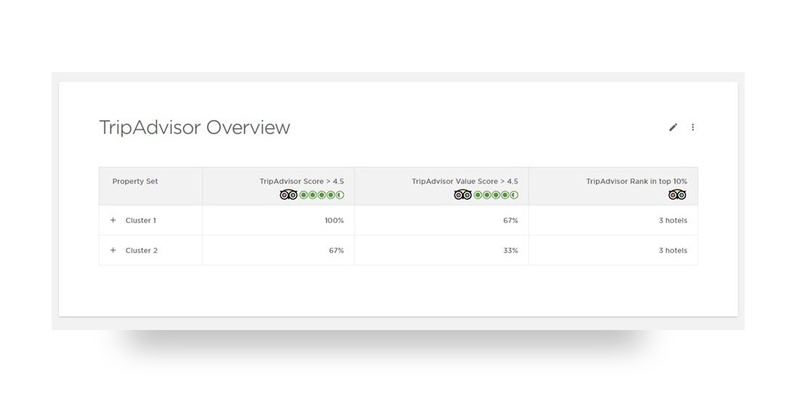 You can compare different sources of performance data, market benchmark data, and reviews data. Compare Property Sets or individual properties within a set in one glance.